Miami's number one underground flea market returns Sunday, November 11 at the infamous CHURCHILL'S PUB! 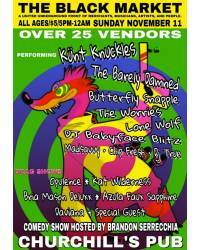 An alternative flea market featuring vendors, musicians, artists, and people! 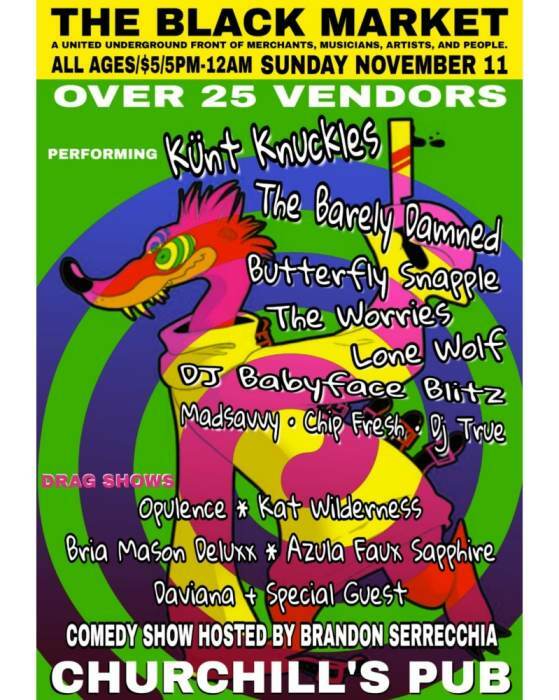 An eclectic mix of vendors selling arts & crafts, vintage clothing, zines, handmade jewelry, bath and body, apparel, accessories, snacks and more! We have a diverse lineup of bands this month!!! Chris Z. SHOW IS AT 9PM ON MAINSTAGE! DJ Babyface Blitz spinning 50's, 60's, and 70's in the main room. Free parking before 8 in CHURCHILL'S PARKING LOT.